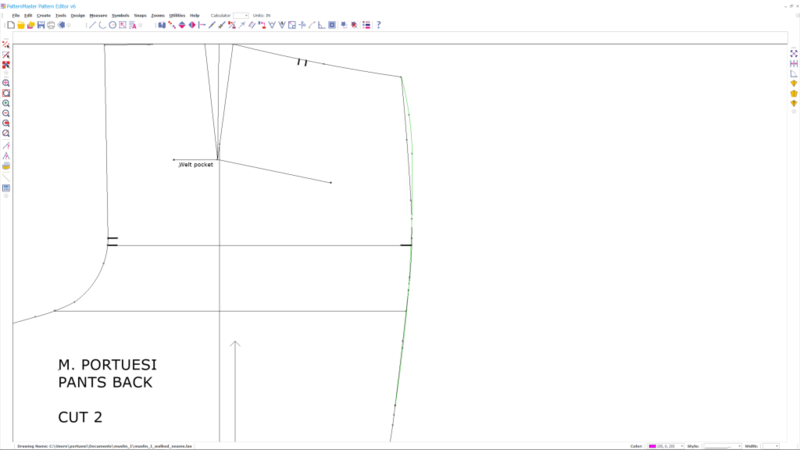 When I left you all at the end of Part 2, I had just printed out a pattern I digitally traced in Wild Ginger’s Pattern Editor. I left you with the impression I was ready to cut out fabric and start sewing. That was when I encountered The Problem. I figured it would be a good idea to take the prinout and compare the pieces to the original tissue I scanned into the computer. This would be a sanity test to see just how faithful the digital version is, compared to the original. I overlaid the tissue atop the printout, and lined them up. And – they didn’t match. 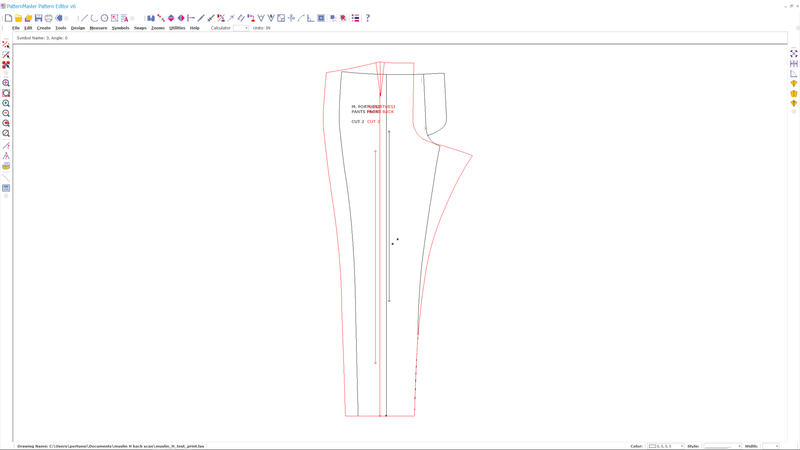 Let’s take the back pattern piece, and align the tissue and the printout at the bottom hem and the grainline. 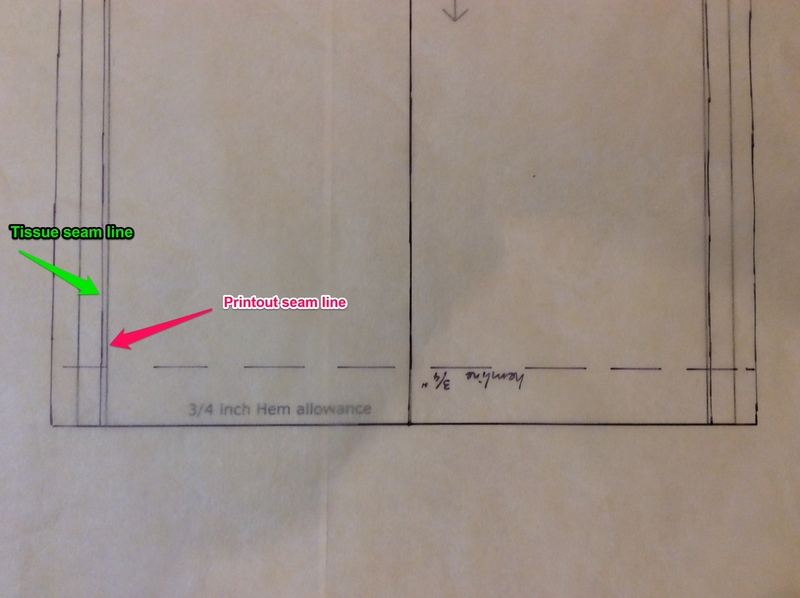 Right away you can see a discrepancy – the printed pattern seamlines are about 1/8 of an inch narrower than the tissue. This entry was posted in Pattern Alteration, Pattern Drafting, Trousers and tagged wild-ginger on August 26, 2015 by mportuesisf. This past week, I’ve been doing the pattern work to move from a fitting muslin to a working pants pattern. My original intention was to scan my paper pattern and move it into Wild Ginger software on the PC for the remainder of the pattern work. That was not to be; the monitor on my PC decided to go defective, and it took a week’s worth of on-and-off troubleshooting to conclusively narrow it down as the source of the problem. My PC was unusable during this time. This entry was posted in Pattern Alteration, Pattern Fitting, Trousers and tagged wild-ginger on August 16, 2015 by mportuesisf.